To celebrate the launch of Australia’s first flagship Heineken venue, Heineken House at Sydney Airport’s international terminal, Heineken wanted to do something special to reinforce its premium image and show how great things can happen when you kick your holiday off from Heineken House. 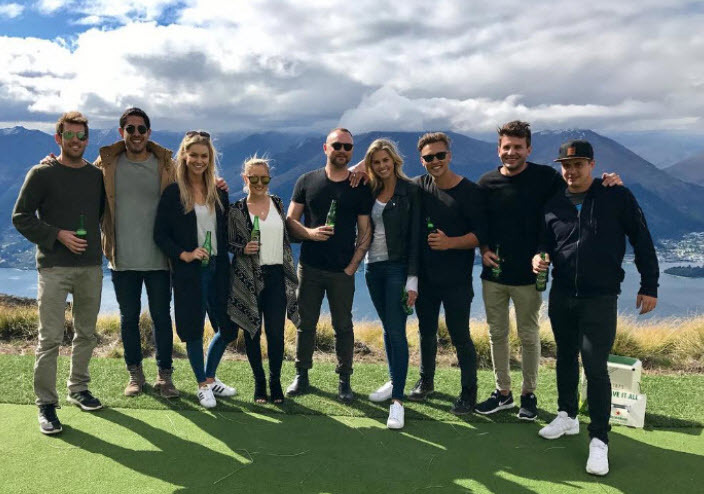 We invited a select group of social media influencers on an international trip of a lifetime with Heineken. They agreed despite having no knowledge of where they were going, who they were travelling with, or what they would do when they arrived. Told only to bring clothes slightly warmer than their Sydney summer wardrobes and their passports, our influencers had no idea that we were taking them to Queenstown New Zealand until they arrived at Sydney Airport, bag in hand and ready to go. We coordinated a trip with experiences to challenge and excite our worldly ladies and gentlemen including a jet boat ride from the airport to the main town, jumps on the Shotover Canyon Swing (the world’s highest free fall) and quad biking. A surprise pick up from a scenic lunch took the group in a helicopter up a mountain overlooking Lake Wakatipu where we had a hit of golf off the side of an alp – enjoying a Heineken or two along the way. The trip created countless content opportunities for our influencers and content was then pitched to media upon our return. Social media reach of 8M + with throwbacks even being shared months later!